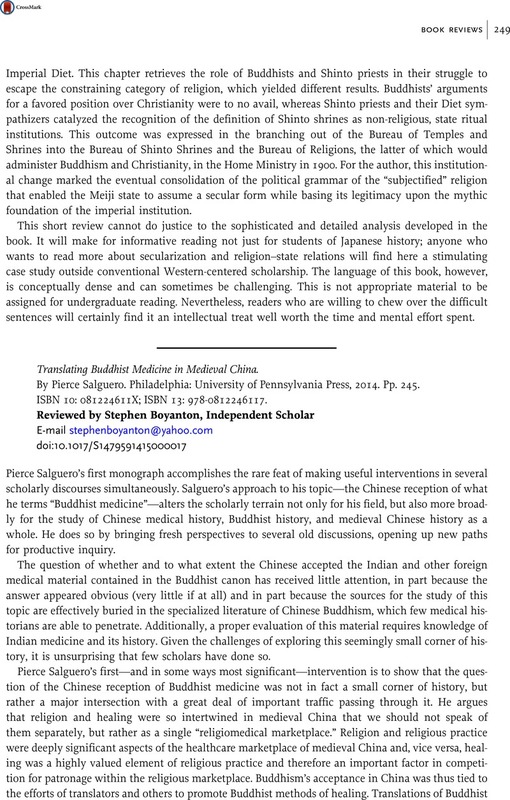 Translating Buddhist Medicine in Medieval China. By Pierce Salguero. Philadelphia: University of Pennsylvania Press, 2014. Pp. 245. ISBN 10: 081224611X; ISBN 13: 978-0812246117. 1 Schaffer, Simon et al. eds., The Brokered World: Go-betweens and Global Intelligence, 1770–1820 (Sagamore Beach, MA: Science History Publications, 2009).